Have you heard of Delicata Squash?!? I hadn’t until I started seeing it all over Instagram a few years ago. It is not as commonly seen as butternut or acorn, but when you do find one, make sure to grab it. You’ll thank me later! Once roasted, the peel is soft and edible, so there is no need to remove it (hello timesaver!). It is fairly sweet, some people say it has a brown sugar taste, but all I know is that it is absolutely declious and equally as yummy when paired with sweet or savory flavors. 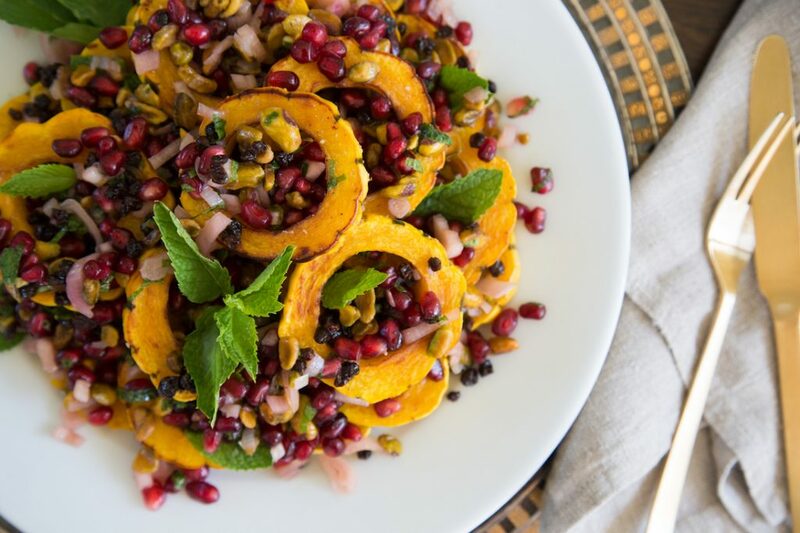 Below is a wonderful Fall or Thanksgiving recipe from my friend, Pamela Salzman. You can read more about Pamela here and make sure to check out her website and puchase her first cookbook, Kitchen Matters, here. Hope you’ll give Pamela’s Delicata Squash recipe a try and let us know what you think! Also, don’t forget to tag me in all of your foodie creations at @livlight_ and #livlight.